Well gentlemen (and the occasional lady) we here at TSM have been silent for a while now. 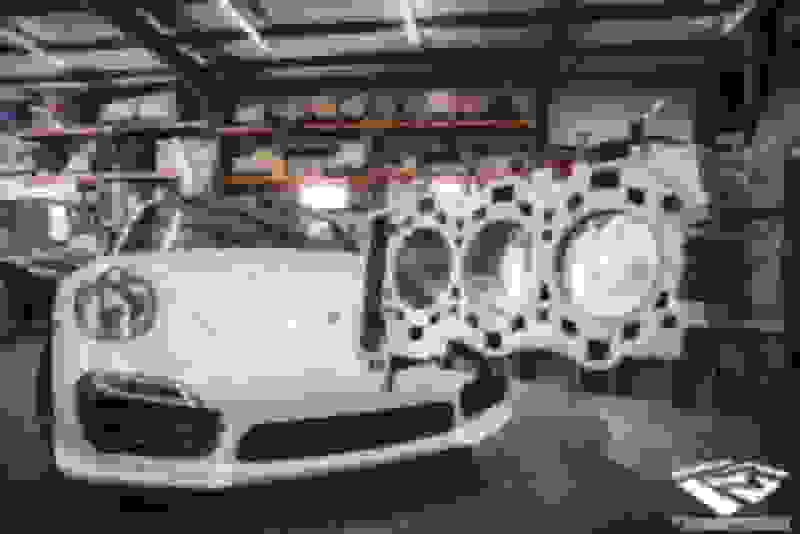 I have hinted here and there that we were working on some pretty in depth Porsche development, but for the most part I’ve refrained from being public about it. I wanted to do the marketing campaign from a little different angle than what is usually traditional in the car community. I have watched a lot of companies try to work their way into specific markets over the years. I have analyzed and watched as other’s “marketing strategies” was used in a community of enthusiasts. Not just the Porsche community, but within other communities as well. I have been doing this for 13 years now, so while I haven’t seen it all, I’m no stranger to the tactics. That said, at this point in my company’s forward motion I’m really not into selling products based on anything less than true quality, proven knowledge, and top level performance. As a car guy Porsche has always been one of my biggest passions. My first high end sports car was a 996 GT2 that we won One Lap of America in. Ever since then I have known that adding this iconic brand to the very niche market of my company was a top level goal! As some of you may know we here at TSM are mostly known for our big HP GT-Rs. We build more high HP GT-Rs than anyone in the United States and have worked very, very hard to have some of the most reliable and proven street cars in the world. We have erected a program with our engines and turbos that has taken a decade of commitment to construct. 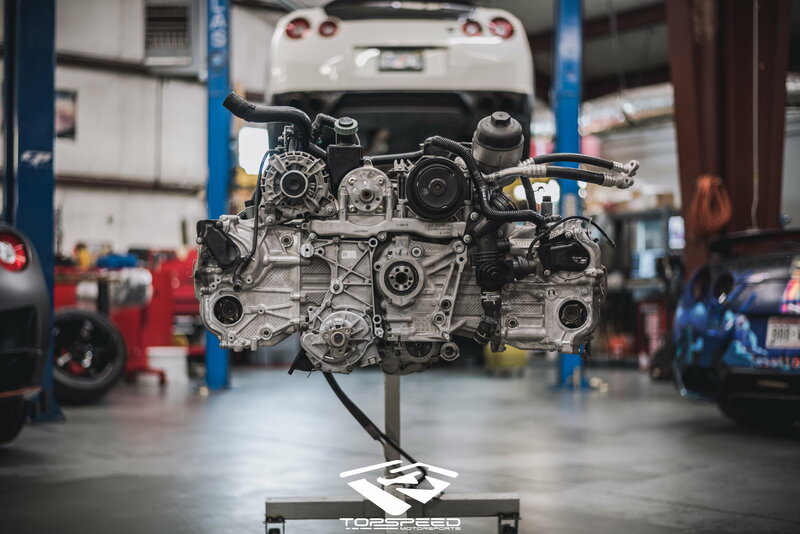 Our engines for the R35 GT-R get shipped all over the world to people making over 2000hp with them. While our success and reputation might be impressive to some, it honestly means nothing to this community of Porsche enthusiasts. A GT-R isn’t a Porsche, and there are very specific learning curves that have to do with every car.. especially one as wonderfully advanced as a P-Car. I’m not so arrogant or ignorant to think we could just jump in head first and be among the best without a lot of learning! 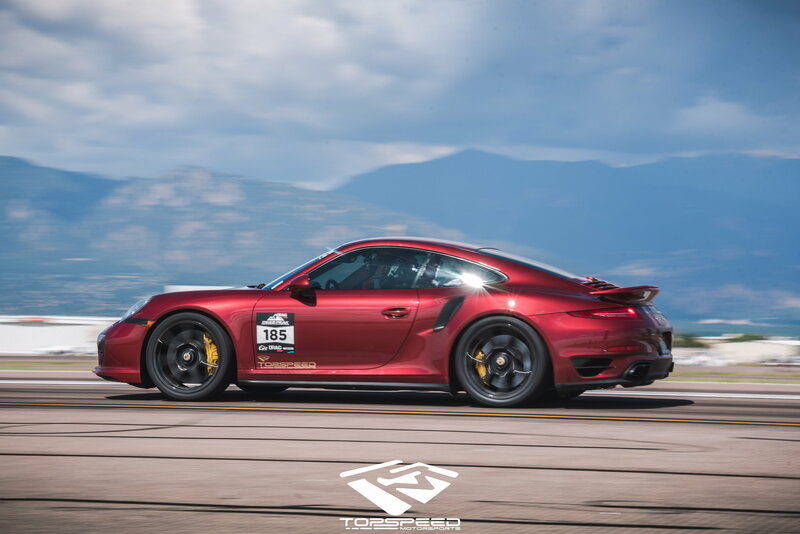 While the learning never ever stops when it comes to pushing the limits of the fastest cars in the world, I first wanted very in depth top level knowledge about the intricacies of the 991 before the “marketing” started. Just over a year ago it began with me purchasing a 991 Turbo S development car. I have dedicated the last year to our 991 R&D program. This program included dissecting the platform all the way down to engine internals and learning everything possible about how they work. While we know cars and engines really, really well, I wanted to know every little specific thing about the 991 that we could before tackling the market. Along with the in house development car, we are been privileged enough to have a customer that decided to entrust us with building his 991 Turbo S! The goal… aggressive yet simple…. 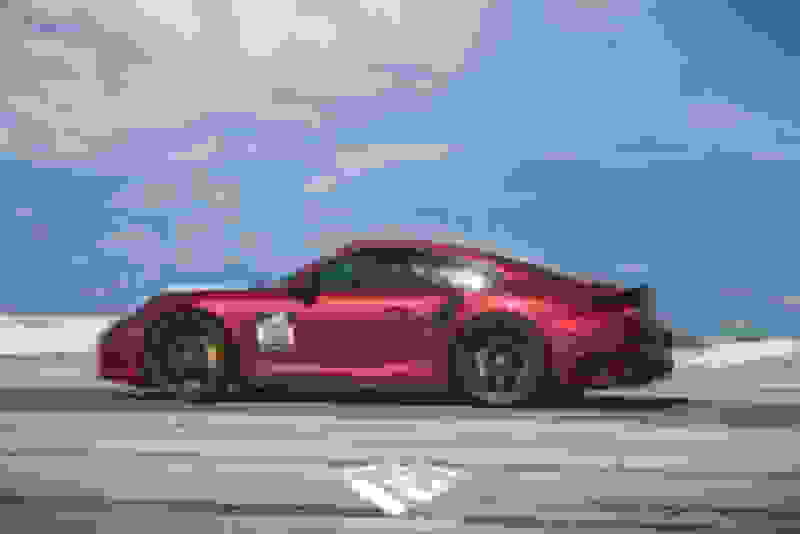 build the fastest 991 Porsche on the planet! Put it on top and keep it there. We decided to start by trying to be the fastest 991 in the US. That quest for the US half mile record started late last year. 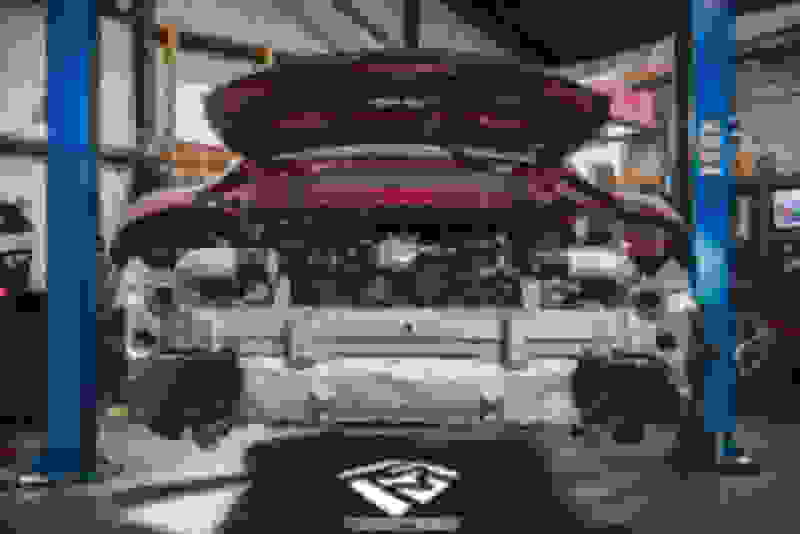 We knew the car needed to make around 1100hp which was going to require a fully built engine, upgraded fuel system, turbos, and a billet intake manifold to name a few. Some of you may know this car, as it is no stranger to racing the last couple years. The owner has had it in and out of a few shops around the US and has enjoyed it with a stock engine for a while. When it was time to go big, he called us! I want to share with you guys some of the process we went through so you can appreciate the level of commitment to this new platform that myself and my team possess. Please allow me to take you through the journey in building what is now the fastest 991 in the country. Our engine program is something I am very proud of and have been borderline obsessed with for many years. 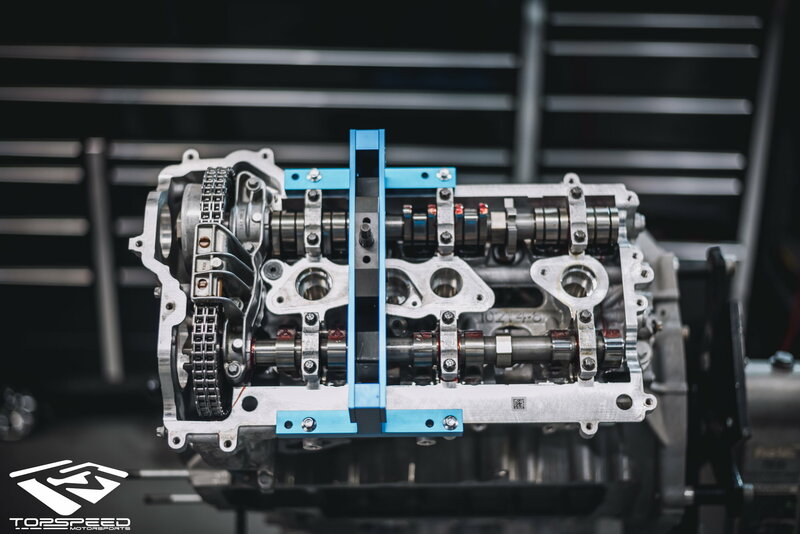 We work with some of the smartest people in the world when it comes to high horsepower engine development. I have been blessed with partnerships that have advanced TSM’s builds far beyond what I could have ever dreamed. 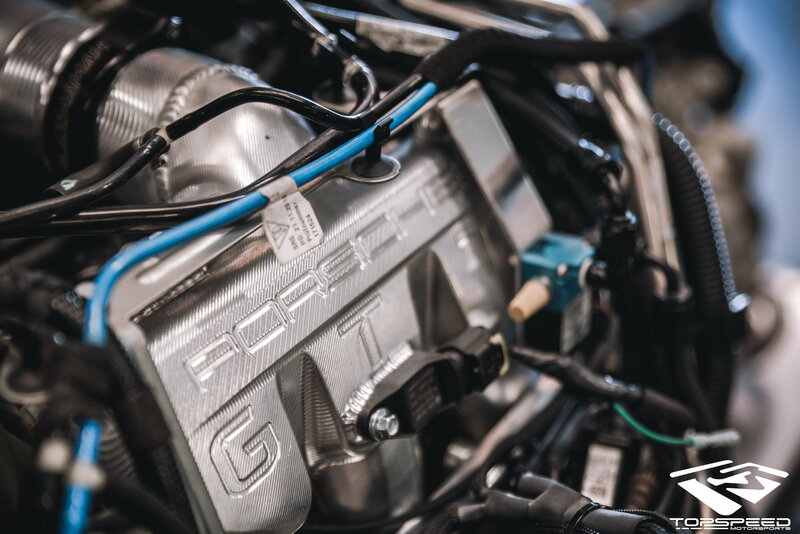 We have built engines for Porsche’s before, but never have we gone this far into custom processes as we did on the 991. We developed completely custom pistons and rods with CP/Carrillo that are 100% proprietary to TSM. 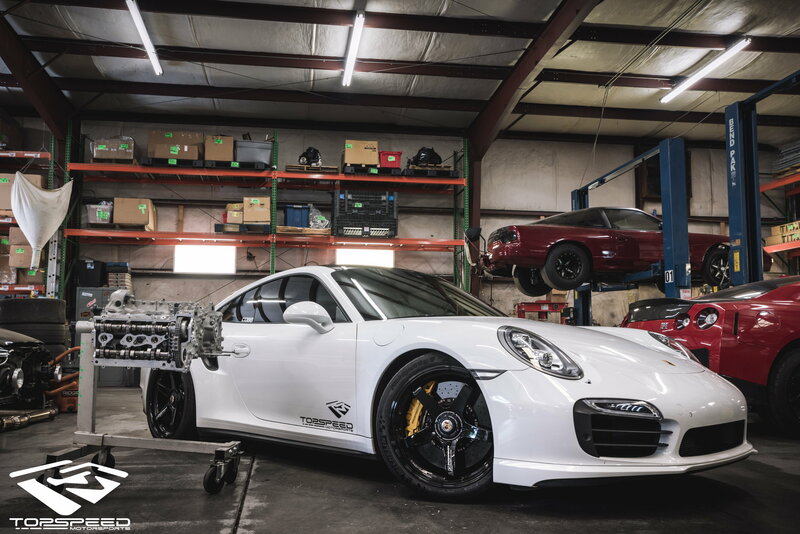 We have been using them in other HP applications for years so they were very excited to create a program for us in the Porsche world. We then moved on to the cylinder walls. The factory processes are certainly not strong enough to handle big power, so we used a process that we implement for other big power aluminum blocks in order to provide a much stronger cylinder wall that can hold up to the abuse of high boost/torque applications. We also called our friends from ARP and had them develop some stronger case bolts and head bolts than are available on the market. Along with the bottom end we contracted our friends from GSC to help us with the entire valvetrain. For those of you who don’t know, GSC is a US based company out of SC that does fully billet camshafts and entire valvetrain products for a plethora of applications. 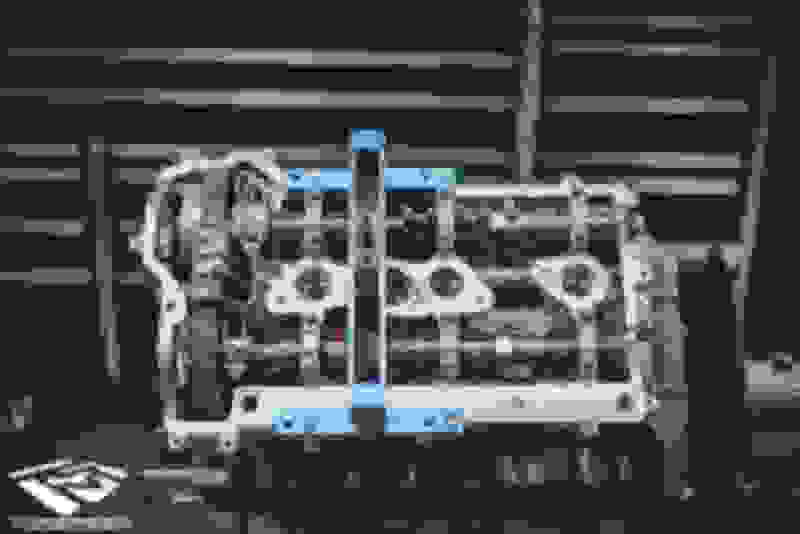 I wanted to be able to spin this engine to well over 8000RPM, so developing a full valvetrain and cam setup was necessary. We have a couple more very exciting things coming in the coming months as far as highly upgraded engine internals, however as of now, I’m extremely excited and confident in our built 991 engine program. The car came together without drama honestly. We fought a few things with the fuel system making sure it was operating perfectly, and then worked with Syvecs on some little advancements that they happily helped with. Otherwise it was all straight forward in nature once all of the components were in place. 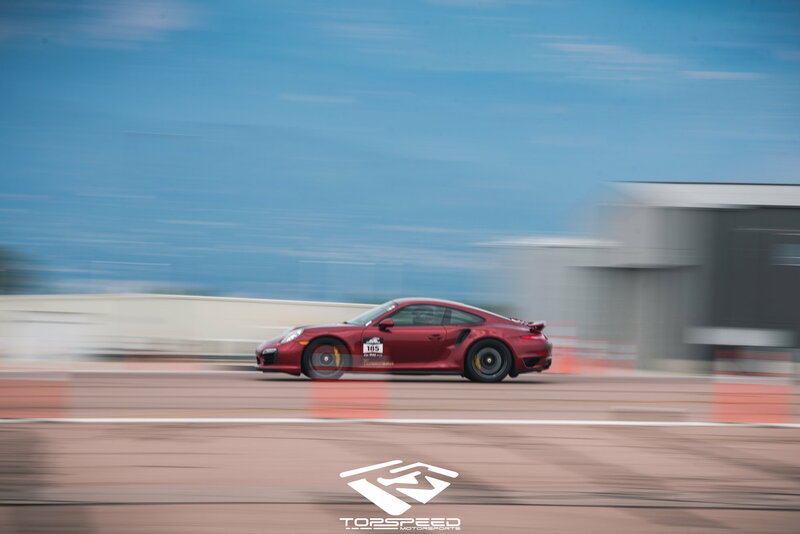 The goal was to head to the Pikes Peak Half Mile event put on by SHIFT-S3CTOR this past weekend. So Saturday about mid day we had our friends at BBi mount a challenge to our speed. They came out swinging with their built engine 991 running 182mph, besting us by just over a half mph. Well in the spirit of healthy competition we couldn’t have that. A couple more small adjustments in the power delivery through the 1/8th mile and the next pass was an enthusiastic 188mph! Ok so the entire team including myself was pretty happy with that! I’m not gonna pretend that if that was where we finished the weekend I would have been disappointed. We were very close to my personal goal and had completely surpassed the customer’s expectations. Saturday closed without any advancement in the 188.4 MPH pass. 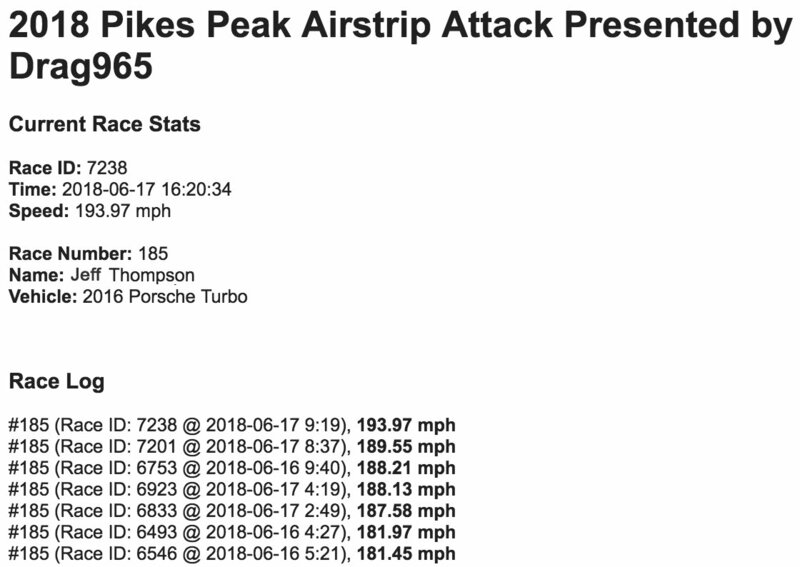 There was a very nasty head wind that day so we decided to not push the car it’s last little 5% to try and make 190mph when Sunday looked more promising for both temps and wind. Sunday morning came around and sure enough the wind was much calmer than Saturday afternoon. With a few more adjustments it was time to make a pass shooting for the 190s! I was confident giving the winds, air, and tune adjustments that we would hit my personal goal... however I wasn’t prepared for the amount we were about to surpass it by! Please, please ask any questions that you guys might have and enjoy the pictures of the entire build process over the last few months! Wow awesome work, TSM! The more competition we can get on the Porsche platform, the better. Thank you sir! We are going to do our very best to be amongst the front lines pushing the development of this platform. I am personally extremely excited about it! Great write up. Glad we have an southeast coast builder/tuner. Super times. What have you done to your turbo? What would you say is the next step for someone with FBO's including turbos? I would assume PDK clutch is next but besides that. Intake manifold? I hear the intake runners are tiny compared to the Mezgers. Congratulations and good to see someone serious in the US finally pick up the 991 platform. Turbos look like internally gated Xona 6564 - is that right? what size turbos are you putting on just bolt on cars? From a bolt on car it's decently extensive. Thank you! Yes they are internally gated 6564s with come custom parts and modifications. We have learned a lot on our ELITE kit for the GT-R as well as helping with some of ETS's most recent turbo kits so there were very small but fun modifications made to these. Honestly I wanted to go bigger but there was no time before this event. Bigger units are in the works and will be on the car soon. Also they are going to be available in our turbo kit. We have TSM 68mm upgrades for the VVT as well as 71mm. The 71mm are in testing currently, while the 68mm are readily available. The car did NOT run nitrous FYI. Not sure where you are getting your information but it couldnt be further from the truth. Come to think of it i cant think of a single car TSM has built that has run nitrous. Last edited by J5isalive; 06-29-2018 at 11:45 AM. Jeff had nitrous on the car when it was stock engine but I completely removed it from the car when we took over the build. No way would I spray this car.. there is no need for it. To be clear, This is Jeff (formally 918 Spyder). The turbo S does not have nitrous on it. We ran nitrous previously when we ran the 9.71 in the quarter mile. With the new turbos, and build, Cicio convinced me to ditch the nitrous. Top Speed is very open and honest!! Cicio has laid out everything 100% which is the way I am. I don't hide anything and neither does Top Speed. Come see for yourselves!!!! Look at the car if in doubt!!!!! There is no Nitrous!!!! 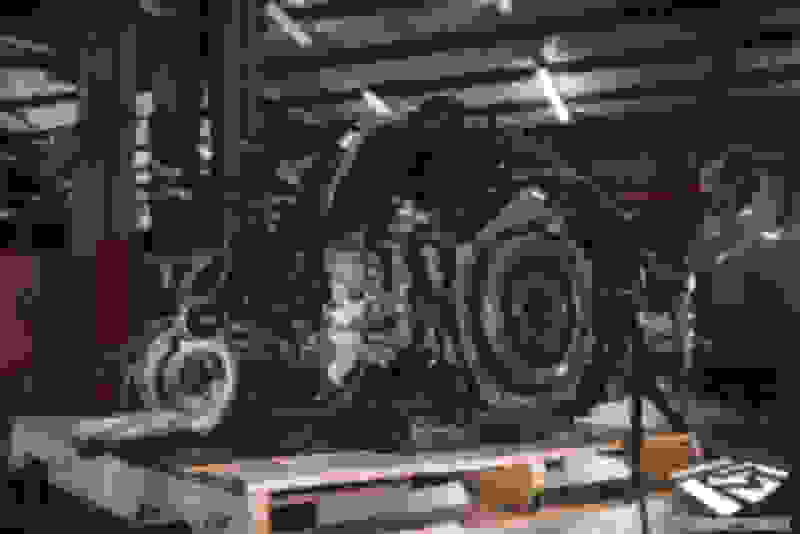 Last edited by GTRS Orange; 06-30-2018 at 06:42 PM.